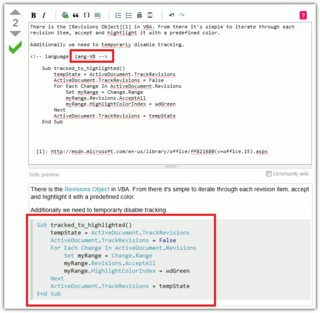 Take this answer where the tag VBA is used. The system recognizes the tag and automatically turns on syntax highlighting. So far so good. Today I answered another question where no syntax highlighting was enabled. I tried to enable it myself with <!-- language: lang-VBA -->. It worked. My question is: What's the reason behind this? Is it intentional? 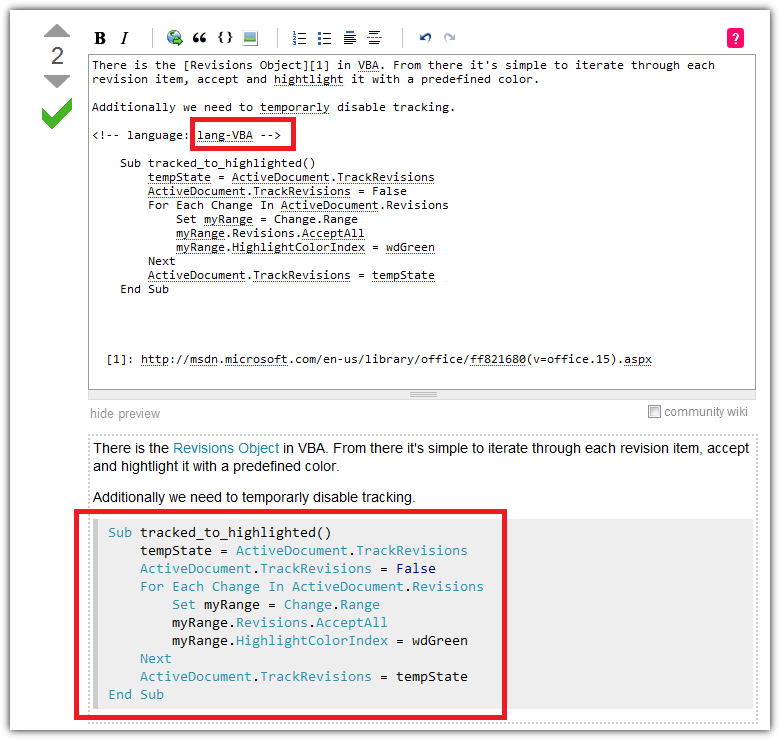 VBA comment: First, we insert <!-- language: lang-VBA --> and have a look at the preview after some seconds. VB comment: Next we change <!-- language: lang-VBA --> to <!-- language: lang-VB -->. Wait some seconds between your actions. As I see it, there is no difference between applying <!-- language: lang-VBA --> or <!-- language: lang-VB -->. 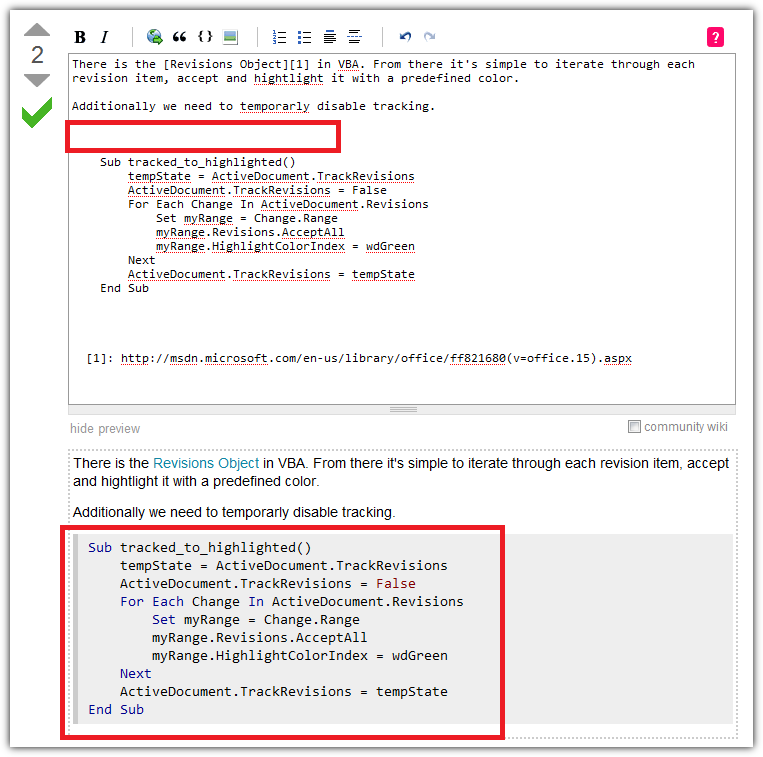 Both methods result in the same highlighting. Or am I blind? Since you haven't mentioned the other question, the only answer you'd posted to day was this. 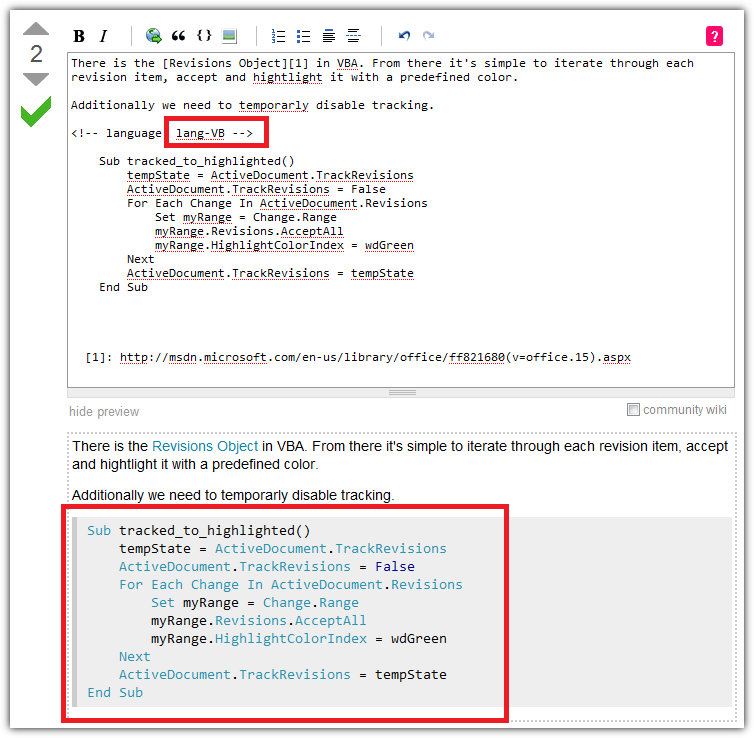 On this answer, the question is tagged with vba. 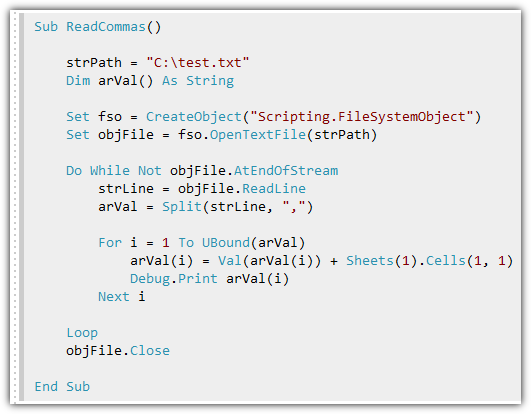 Looking at the tag definition, the syntax highlighting language is set as vb, so the prettifier <!-- language: lang-vb --> why is why you see the highlighting as in the second image. 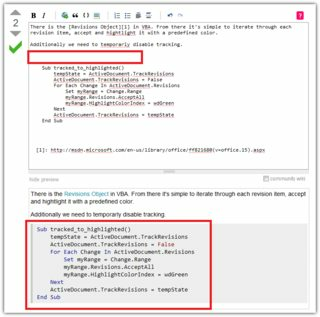 On your today's answer, the question originally didn't have vba, so no syntax highlighting was applied. Then, you forced <!-- language: lang-VBA --> which has different colour syntax highlighting than <!-- language: lang-vb --> which is applied to the first question. Not the answer you're looking for? Browse other questions tagged support syntax-highlight . When can I '@' tag a user? 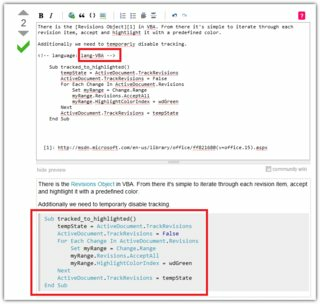 Adding 'language-highlighting' tag to a question, necessary? 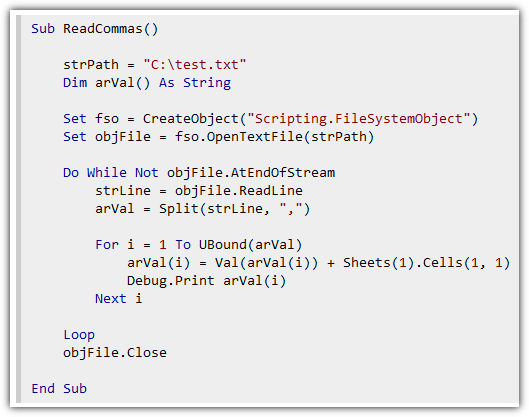 Why can't Superuser highlight Powershell syntax but SE Android App can?